At FSIoffice we’ve discussed the power of social media on the way business is conducted, but every day we see new ways that this idea-sharing phenomenon is changing our world. 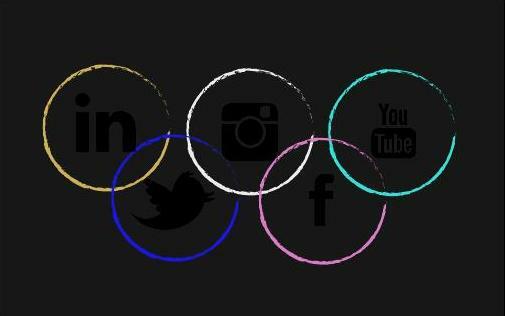 Perhaps the most current testament to the power of social media is the Olympics. From time to time, a particular Olympics will earn a nickname to characterize it. The last time the Olympics were held in London, in 1948, the event became known as The Austerity Games. This was due to the fact that the world was just emerging from the devastation of WW II and the effects of the war were still very present in London and the games. This year, though some would again consider it an austere time with the unstable global economy, London has certainly brought the games with plenty of pomp and circumstance. This time around, it appears that social media may be what defines the London Olympics, with some even dubbing it the Social Media Games. Anytime the Olympics are held overseas in a different time zone, the United States broadcasting companies have to arrange their primetime coverage of the various events. In the past, you could easily go about your day with no knowledge of that day’s events until you were ready to plop yourself down on the couch at 8:00 to watch the nightly coverage, as if you were seeing it live. Then the internet changed everything. The battle to control coverage and exposure of the events over the internet has been going on for the last few Olympic Games. However, until this year, if you found out results early, it was most likely because you went hunting them down on the World Wide Web. This year, you practically have to turn off your phone and keep earplugs in if you want to maintain any suspense. I am an avid fan of the Olympics and look forward to them with great anticipation. I am also an avid social media fan, which is obvious by the fact that I am posting about this topic on a blog. However, my feelings are mixed about how the two are interacting. I subscribe to CNN’s Breaking News texts and have numerous times fallen victim to spoiler alerts via these text blasts. When I see one of these come through on my phone it could be anything; an update on the current situation in Syria, the legal proceedings after the Colorado shooting or the NASA mission to Mars, therefore I usually look at them. Unfortunately in the last 10 days, the vast majority have been Olympic results listing gold medals won by Americans, taking away the entire thrill for that evening. Now don’t get me wrong, I still watch, because it’s not all about the results. Seeing these incredible athletes perform unimaginable feats is worth anyone’s while. But, if I start to succumb to heavy eyelids or can’t get home in time to see every event, it’s not that big of a deal anymore because I already know what happens. This clearly takes away the edge of your seat excitement, and you might guess it is resulting in lower ratings for NBC. As it turns out, this year’s NBC coverage has garnered more viewers than the Beijing Olympics, though some thought there would be a decline because of social media. The results are showing that those who find out results early are still tuning in to watch, to see all those highs and lows, the unexpected falls and the extraordinary feats. What we may have lost (at least anytime the games are on another continent) is the chance to have another Miracle, the 1980, US ice hockey victory over the Russians; an event where most people, to this day, can still tell you where they were when they watched that. For some people, avoiding the spoilers may not be as difficult if you don’t use Twitter and Facebook and avoid internet browsing. But I’d venture to say most of us have had at least the results of an event or two revealed earlier. My dad is a great example of this. He has a Twitter, but never uses it, rarely uses text messaging, and is far too busy working to find many spare minutes to even bother looking up results. But surprisingly, even he complained of overhearing the results of one of Michael Phelps’ final races. You can run, but you can’t hide. I think I’ve spent long enough complaining about the spoiler problem of The Social Media Games, it’s time to talk about the uniquely positive way social media is shaping the Olympics. Twitter might be having the most powerful impact of all. Since NBC’s primetime coverage is limited to a few hours each night, they can only show some of the most popular events, leaving many athletes and sports forgotten about. The good news is someone on Twitter is talking about those events having seen them earlier in the day or on the internet. Every night while I watch the Olympics, I frequently check the Trending Topics on Twitter. This past weekend I checked Twitter and 156-73 was trending. “Hmm that’s odd what do those numbers mean,” I thought. So I check it out and oh, surprise, that’s the score of the USA Nigeria basketball game. I didn’t even know we were playing that day because the nightly coverage doesn’t always show the basketball games. Even though the Olympics are happening an ocean away, in some ways we can all experience it live through social media if we choose to. And, every little victory and defeat, no matter how obscure the sport, gets its 140 characters of fame on Twitter. The Olympics are a time of fierce competition, but also a chance for the world to come together, politics aside, and watch some of the most physically talented humans on the planet. Now, social media helps us interact and share in that magic a whole lot more. Next Post: So…what do you use WD-40 for?